We provide a wide variety of portacabins in various sizes to fulfill your requirements.We provide office cabins with workstations , office cabins with washroom and pantry and the list goes on. We are the leading supplier of UPS on rent/lease (both IT INDUSTRIAL UPS) in the industry rating ranges from 1kVA to 20 kVA both standalone and parallel redundant. 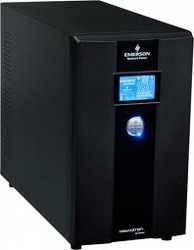 We are amongst the leading names in the industry, we deliver wide array of Rental UPS Make Emerson Eaton APC that are planned to ensure UPS in fixed time period. We provide Branded online ups on rent upto 8000 kva . Consul is offering UPS rental from 1KVA - 120KVA UPS & 15KVA to 45KVA Stabilizer. This is ideally suitable for the organizations which need immediate UPS / Stabilizer during transition or breakdown of existing UPS / Stabilizer or cannot afford to invest in a new unit. Are you looking to rent three phase UPS systems or even single phase UPS systems We have a fleet of UPS systems available for most applications. We rent for long term or short term. Rent a UPS system while waiting for your new system delivery and installation. Renting is ideal for a temporary location. Leasing can be like having a permanent warranty. We provide UPS on rental. Being the most respected organization guided by experienced and knowledgeable professionals, we provide UPS Rental Service. - In this service, we provide a wide range of batteries to our clients on rent. Our product range includes a wide range of UPS Rental and Hire Services, UPS and Batteries Rental Services, UPS Rental Installation Services, UPS Battery Rental Services, UPS Power Supply Rental Services and UPS and Stabilizers Rental Services.